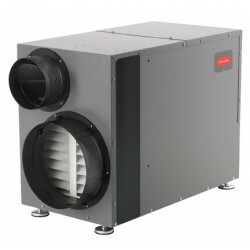 Honeywell's TrueDRY Dehumidification systems are all ENERGY STAR® rated making these dehumidifiers one of the most energy-efficient ways to dehumidify your home or office. These systems can be installed out of sight in your central heating and cooling system or they can be installed as a standalone to effectively remove excess moisture in specific trouble spots. 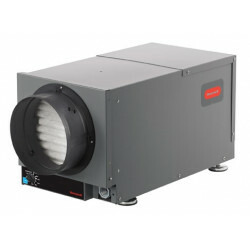 Popular Honeywell Dehumidifiers: DR65A2000 and DF90A2000 .